Gratify your desire for a private oasis with one of our beautiful whirlpool tubs. Satisfy your need for practicality with its enduring quality. With its standard 60-inch width, the versatile 60 x 42 SP whirlpool tub fits seamlessly into a multitude of design plans. The rectangular perimeter makes it perfect for installation in a shower alcove, while its clean lines and oval bathing well mean it can stand alone in an island as well. The generous deck allows for plenty of custom fixtures and accessories when used in an island, but the narrow deck area above the drain accommodates a tub filler when used with a showerhead. Six hydrotherapy jets, two at your back and two on each side of your body, provide a tension-releasing massage. 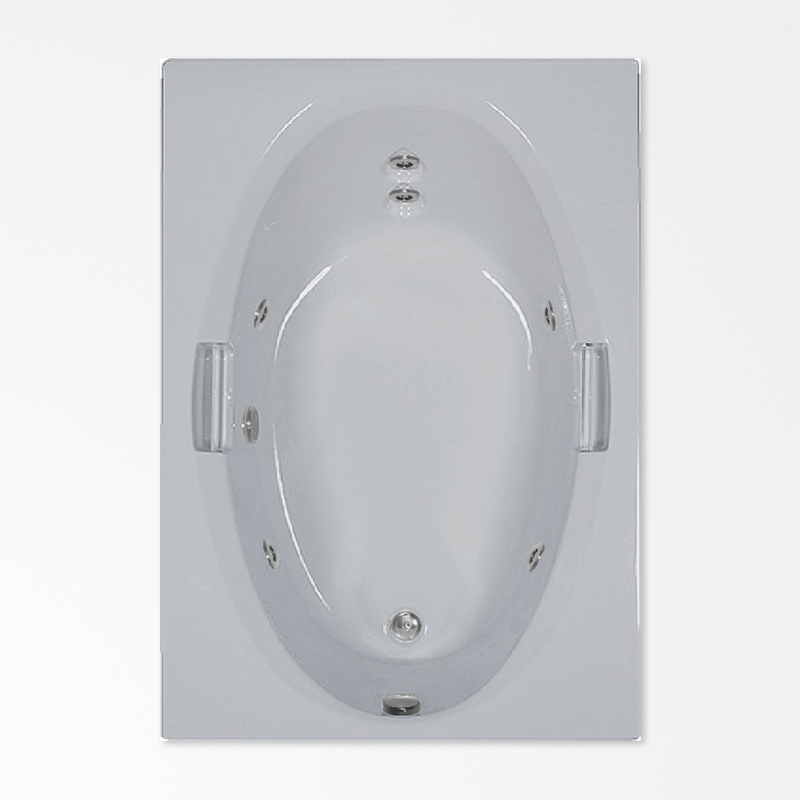 The extended width lends a bit of luxury to this whirlpool bath, and its curved lumbar support adds comfort. It features attractive recessed acrylic grab handles to give you a hand getting out of the tub.